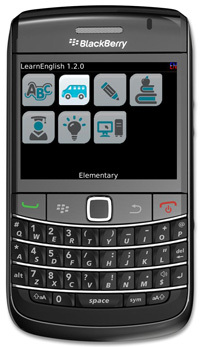 S4BB Limited just released LearnEnglish for BlackBerry® Smartphones. This new application helps you learn English at your own pace. Get it for free and it will be easy for you to communicate in English! More than 239 self-contained audio lessons to pick from! Within each lesson, you may pause at any time and resume later from that time onwards. Audio lessons contain a set of comprehensive English learning materials which come in several difficulty levels.